Our last two premiers have something in common: they were expected to fall out of contention, but surprised us all and won it all. There’s something else: active off seasons. Which is why I’m of a mind to credit North Melbourne with as much football karma as I possibly can as we head into what looms as a busy – and condensed – trade period. For the second year in a row the ‘Roos are having a go, trying to build around the core of a list which has showed it can play competent football in 2018. Maybe it’s the premiership afterglow that’s got me feeling a bit more Zen when it comes to North’s pursuit of Andrew Gaff. How can you begrudge a professional chasing the best professional situation? If that’s what the ‘Roos can offer so be it. But this column isn’t about me or my feelings. It’s about North Melbourne’s bolshy approach to the past two trade periods, and what it might mean for them if it all comes off. Contention? It’s not too far beyond them. The ‘Roos were the biggest surprise of a season of surprise results early on, hitting the bye period with a 7-5 record and a solid percentage of 118. Two weeks prior I wrote a column with a provocative headline but positive message: ‘Right now, North Melbourne is no closer to its next AFL premiership’. 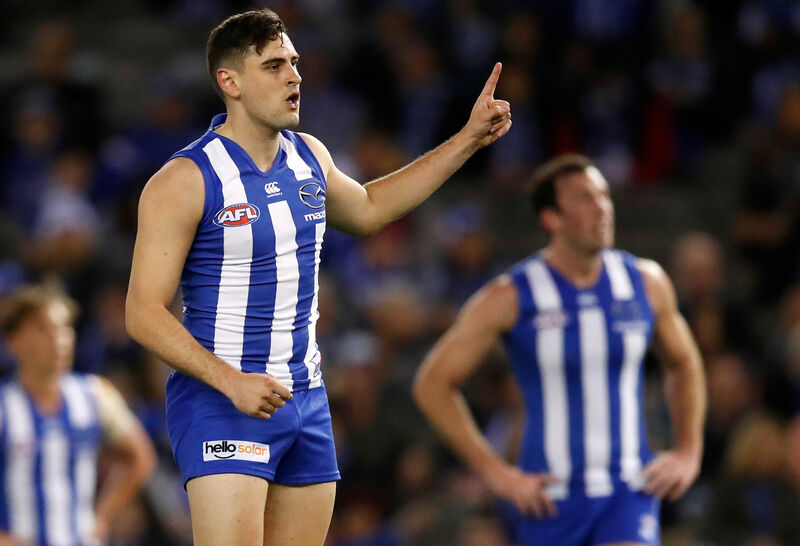 If one were to look beyond the headline – a tough ask these days I know – then one would have found a very positive take on where North Melbourne is at. The ‘Roos have built a solid base, introducing some younger players to complement an existing core, with a strong football identity. North faded as the year went on, finishing ninth with a percentage of 108.9 per cent. The club was essentially a 0.500 team in the second half of the season as injuries, which they’d mostly managed to avoid to that point, began to mount. For a while it looked as though a push for the eight was on, but the ‘Roos ultimately finished a win back from finals – though at the head of a pack of four teams with 12-10 records. And the ‘Roos record would’ve been good enough to make the finals in each of the ten preceding seasons bar 2012 and 2015. The ‘Roos attempted to make a splash in the 2017 off season, launching bids for free agent Dustin Martin and contracted GWS Giant Josh Kelly. Both proved futile. Evidently that has not swayed them; North has aimed higher and higher as the year has gone on. Throughout the season North Melbourne’s thirst for expensive acquisitions became something of a meme: every out of contract player with a bit of flair was linked to Arden Street, even if there was nothing to it whatsoever. North fans refer to it as the club’s all caps W A R C H E S T – a bucket of money unlike any that has come before it. North has an enormous incentive to pursue this strategy, of course. 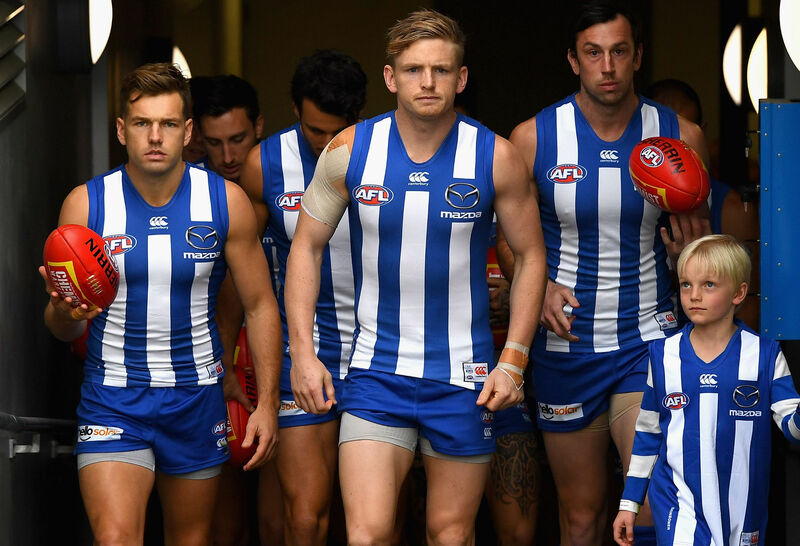 The AFL’s salary cap-banking mechanism means any unspent salary cap the ‘Roos may have been stashing away in the Arden Street vault from the 2016 off season has to be spent in the 2019 salary cap – and so the arrangements to spend that money have to be made now. The unspent 2016 amount may include some of the underspend the club had been keeping aside for the Kelly and Martin acquisitions. Once banked salary cap is gone, it’s gone. That in and of itself is likely to explain why the ‘Roos are being so active this off season. 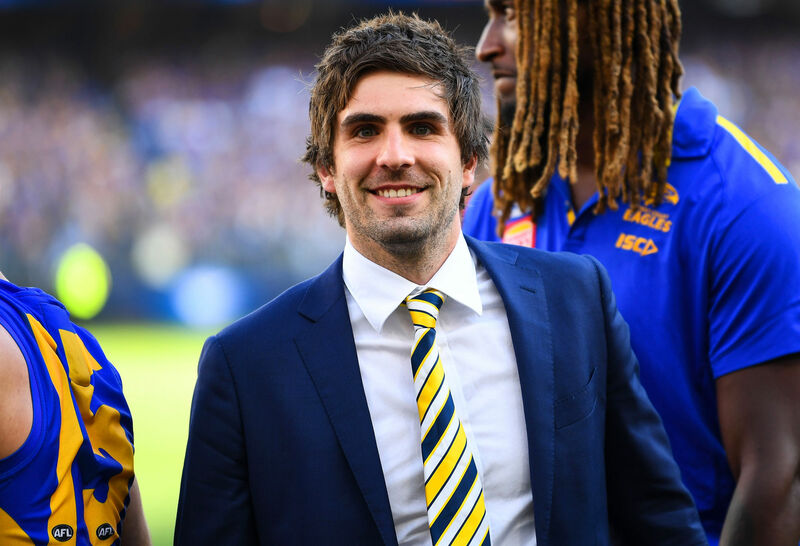 Their pursuit of Gaff has been a long time coming, but their decision to trade in Jared Polec and Aaron Hall are much more a product of timing. A mooted swap of Ryan Clarke for Sydney’s Nic Newman may prove to be a wash in salary cap terms. The warchest must be spent, and North has figured out a neat way to spend it. And what’s the best way to signal to other players that you’re the club for them? Be willing to have a go and back in your playing list. Yes, there’s certain to be an element of ensuring North can offer GWS’ Josh Kelly a premiership vision that can compete with his current club come the 2019 off season. In some ways there is a mocking tone to it all. But when the rejuvenated ‘Roos are stomping their way across the competition come March next season, fear will take hold. Why? Because North Melbourne’s supposed acquisitions are perfect complements to its existing playing list. Already flush with inside midfielders, the ‘Roos are loading up on the sort of outside talent that can help address its ability to convert ball-winning at the coalface to scoring opportunities at its end of the ground. For all the talk of North’s inside midfield potency though, it ranked a middling seventh on adjusted contested possession differential (+1.0 per game), and was 14th in clearance differential. But its outside challenges are clear: North was 18th in total kicks (while it conceded the seventh-most kicks per game), 17th for uncontested mark differential, and 16th for field mark differential. Kicking isn’t everything when it comes to fostering a strong outside game plan, but it’s an important consideration. Each of North’s prospective recruits scores 63 per cent or better in Champion Data’s effective kick rate statistic (per AFL Stats Pro), where the average for midfield players in the top 50 for kicks is 61 per cent. The strategy is clear here: pick up some players who can deliver the ball on the outside. Three of quartet are also strong runners, albeit in different ways. Both Gaff and Polec are endurance monsters, both regularly stretching into the 90s for game time percentage (an average midfielder hovers around 80 per cent). Hall doesn’t stretch into the 90s regularly, but is renowned for his pace and acceleration. Newman has been a bit more up and down on this front, even though he’s been in the system for four seasons. North’s strategy would seem to be an attempt to bolster its clear personnel weakness in one hit via acquisitions. And it’s an excellent strategy. Why? Because we’ve seen two excellent examples of what can happen when a club that is in reasonable shape takes steps to bolster its list in the right places. Richmond and West Coast were both expected to drop down or remain mired near the bottom by most pundits heading into their premiership years. Both had lists with plenty of experience and talent, but with a weakness or two. Both managed to address these weaknesses via nips and tucks to their playing stocks. The Tigers bought in Josh Caddy, Dion Prestia and Toby Nankervis in the 2016 offseason. The Eagles bought in Liam Ryan, debuted Willie Rioli, and gave fast-paced youngsters like Daniel Venebles, Tom Cole and Jackson Nelson a go. North is being more aggressive, but the principle is the same. If it comes off, the ‘Roos will shoot straight into contention for the eight. Though we have seen two recent examples that suggest the path isn’t necessarily as straight as we may assume. Both Essendon and Port Adelaide made a splash during last year’s trade period, each brining in three established players after finishing in the top eight. Both missed out on finals in 2018. It wasn’t down to the performance or lack of it from those trade ins – football is way more complicated than that – but the acquisitions suggested both teams thought they were close to the precipice of greatness. In reality they were still a bit ho-hum. North’s 12-10 finish was one of the more surprising storylines in a season which threw up plenty of candidates. Putting the 2017 dip to one side, competence and stability has been the name of the game for the ‘Roos for near enough a decade. A confluence of circumstance and need has seen them push all their chips to the middle of the table. Make no mistake, the ‘Roos are shooting for the moons like many clubs have before. But I have a feeling they’ll make it.